When I commenced my field study of witchcraft accusation in the Northern Region of Ghana in December 2012, I had so many goals. And one of them was to witness a witch purification process at one of the local shrines. Witch purification is a ritual of confirming and cleansing an alleged witch. Alleged witches in Ghana's Northern region are subjected to this process before they are allowed to settle in six of the seven witch camps. The ritual is performed by the Tindana. The Tindana are the earth priests or priestesses who oversee the 'old ladies area'- as the witch camps are called in Dagbani language. The practice of witch purification is as old as the witch camp phenomenon. It has been going on for centuries. Traditionally, witchcraft is a capital offence. An alleged witch is killed by a lynch mob. A person confirmed by a shrine as a witch is taken by authorized individuals to a nearby bush and killed. The 'official' practice of witch killing stopped following the introduction of witch cleansing ritual and the establishment of witch camps. Since 2012 I have visited the Northern Ghana on two occasions. I tried severally to attend, witness and observe the procedure of witch purification without success. The Tindana are not cooperative. They are often very suspicious of such requests. The spiritual landlords are reluctant to disclosing the nature, time and form of this ritual to a stranger. But on Saturday February 8, I heard about a purification ritual to be performed on Monday February 10. And I leaped on the opportunity. It was the 'witch purification' of a woman brought by family members to the Kukuo witch camp near Bimbillah. The woman is over 70 years, a muslim and a widow. She is from Jimle , a village near the regional capital, Tamale. The woman was accused by a man in her family of making the daughter sick. The belief that people can make others sick or kill them through spiritual(witchcraft) means is very strong in the region. It was alleged that the sick child saw this woman in her dreams. A woman who appears in the dream of particularly a sick person is believed to be a witch. In this case she is believed to be the one responsible for the sickness. But the woman said her accusation had nothing to do with appearing in the child's dream, that she knew nothing about the child's sickness. Her accuser owed her 50 Gh Cedis-around 23 dollars- but he could not pay back as he promised. She said the accusation was a ploy get rid of her from the community and erase the debt which the man owed her. The woman was brought to the Kukuo witch camp on Friday February 7. The purification ritual takes place between 5am and 6 am on Mondays, Wednesdays and Fridays. Since she arrived late on Friday, her purification was slated for Monday February 10. I was informed that the procedure was confidential. Only the family members of the accused or the accuser would be allowed into the shrine. My contact person initiated a lobbying process on Sunday February 9. He took me to the Regent, Tindana and an elder who, after some 'persuasion', allowed me to witness the process. But they gave me one condition. That I should not bring any camera with me; I should not take any photo. It was a difficult condition but I obliged. I was told to be at the shrine before 5.00 am. I hired a person to convey me to the shrine on a moto bike. By 4.30 am, the person arrived at my guest house in Bimbillah. We were in Kukuo shortly before 5.00 am. The village was still asleep. Tens of livestock-goats and sheep- were lying on the village square. Everywhere was dark. Occasionally, there were some flickers of light from the torches of those going to or returning from the Oti river. There was electricity in the community but there were no street lights. I was curious and inquired. And I was told it was due to a village taboo.There is a traditional belief that the street light would disrupt the routine of the shrine spirit. They believe that the shrine spirit goes around to visit homes at night and to protect the villagers from evil attacks. And this is done under the cover of darkness. But many young people in the community do not share in this belief. They want street lights installed in the community. But they have to convince the elders who administer the village and get them to realize that the time has come to break or abandon the taboo. Until then Kukuo community remains without street light. Not long after our arrival, the village imam started calling for prayers. Kukuo village has a mosque, which is the most magnificent building in the community! It is located few meters from the shrine. The purification process was scheduled after muslim prayers. The two events- I guess- could not have taken place at the same time because some of the people that went for muslim prayers would also take part in the shrine activities. Muslim and traditional religious practices mix in Kukuo community. Shortly after the muslim prayers, the Tindana appeared. He went and opened the shrine in preparation for the ritual. He returned to his house and few minutes later came back with the linguist. The accused woman with two of her relatives followed. They had two chicken- one was white, the other was multi-coloured. The belief is that the position of the chicken when it dies confirms if an accused is guilty or innocent. If the chicken dies facing the sky, the person is innocent but if the chicken dies facing the ground, the person is a witch. As soon as the Tindana was ready, they all went into the shrine. The woman made some recitation before the shrine which I was told read thus ''They say I am a witch. I have come to the shrine to cleanse me''. The Tindana slaughtered the chicken. He cut the throat using his left hand. The coloured chicken died facing the ground. 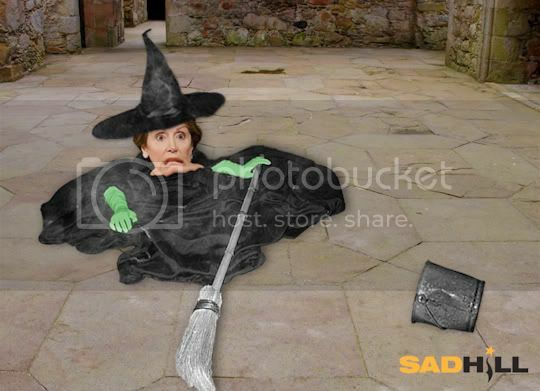 The woman was confirmed a witch! The Tindana took some of the feathers and intestines and placed them on the stones representing the shrine spirit. He sprinkled the blood on the stones. The Tindana dipped the knife used in slaughtering the chicken in a small calabash containing some ''shrine'' water. He gave the concoction to the woman to drink. Having taken the 'concoction', the woman is believed to have been spiritually cleansed. The witchcraft powers in her have been disabled. The woman said she would like to go back to her family but the family members at the shrine refused. They told her that there wasn't enough fuel in the car. I was told it was a 'polite' way of telling her that she might not be returning home anytime soon. In fact she might never return home again. I hope the ducks are properly calibrated. In Ghana, they just stab a chicken to find out that a woman is bad. In Massachusetts, they elect the woman to the Senate. I don’t know if my first wife was a witch, but I called her “One Hour Martinizing” because her and her lawyer took me to the cleaners! I have to laugh or I’d cry. Muslim and traditional religious practices mix in Kukuo community. So how do we get Hillary to imbibe bloody chicken water? Spike a bottle of Night Train Express?